The true empowerment lies in the ability of a woman to exemplify beauty, brain, and blessing by being an inspiration to multitude of people around her. It is not being a chauvinist but a way of showcasing the jewels women have to offer in this world full of judgments. However, what really defines a true queen? Is she somebody who embodies perfect aesthetics or somebody who possesses an uncommon beauty? The command of one’s self does not rely on personality alone. Wit will play a great part in the essence of being a woman. So do not feel overly anxious physically because obviously beauty is highly subjective. As long as you have the magic of confidence, beauty just shines through you. Today’s standards of looks will always alter so why not concentrate on the constant? Goodness is one of the constant values that will never fade in someone’s list of qualifications. Aside from such, excellence matters because every woman should have something to say and that she should be eloquent enough to bring about changes. Many girls would feel narcissistic because of the notion that beauty is gauged through physical aspects. 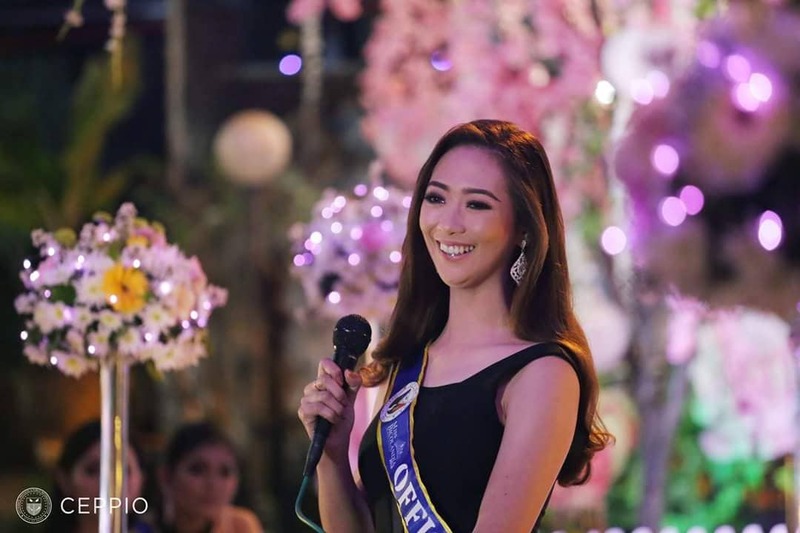 Nevertheless, many people fall short in realizing that the combination of intellectual, social, and emotional well-being are tantamount to the perfect face and figure the society has stereotyped queens. Many prominent individuals are beautiful but they do not delve deeper in that thought– for their life has bigger sense of purpose. These queens also have reasons too but what’s more endearing is if they could walk an extra mile to be a genuine voice for a myriad of people who do not have the grit to speak. I know individuals who are excellent enough to represent our country in varied tilts. One of them is my inspiration. She has been my pageant sister too who left heartprints in my life. I can never forget her because she made a difference. She is Ms. Joana Verdeflor whose beauty, wit, and confidence have been instruments of change. I was left in awe upon knowing that she has achieved greater heights and her love for reading and writing were great platforms to cascade learning. That opened my eyes to the fact that if she can make it, why can’t we? Indeed, she is a true queen—unique in multifaceted ways like a diamond which shines in every side. Previous Post Events || An Invitation!